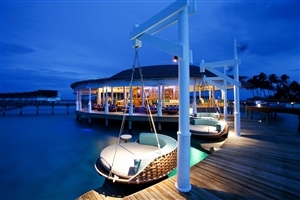 One of the Maldives’ most revered luxury holiday resorts, Centara Grand Island Resort & Spa enjoys a privileged setting on its own private island just 25 minutes by seaplane from the capital city Male. 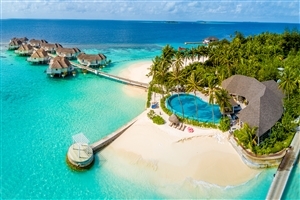 Offering 112 suites and villas across seven categories, this award-winning, family friendly resort will impress with its gracious accommodation, contemporary décor and excellent facilities, including a scuba diving centre, a choice of excellent restaurants and the lavish SPA Cenvaree. 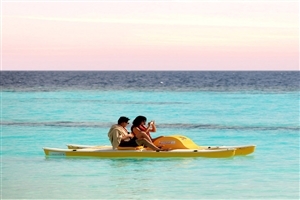 Centara Grand Island comes with Centara's superb Ultimate All-Inclusive featuring a number of with special upgrades. 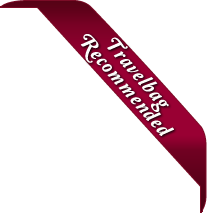 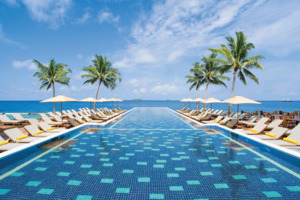 That includes, amongst other things, a 'Meet and Greet' at Male Airport, sumptuous Champagne breakfast, evening cocktail receptions, dinner at a choice of three restaurants, USD 100 per adults per day for treatments in the SPA Cenvaree, a range of excursions and facilties for children of all ages. 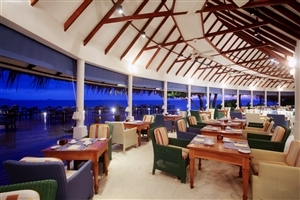 Centara Grand Island Resort & Spa is an award-winning, family friendly resort located just 25 minutes by seaplane from Male. 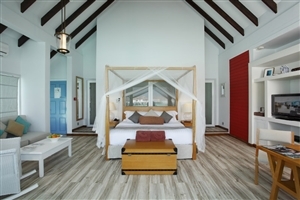 Featuring 112 suites and villas spread across seven categories, there is an extensive choice of beachfront and over-water accommodation. 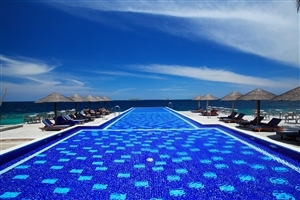 The resort also boasts the prestigious Island Club. 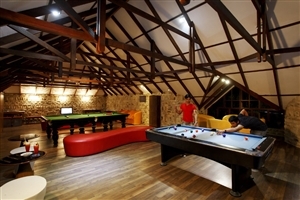 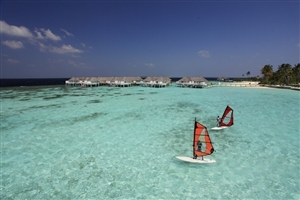 Recreation facilities are extensive and include a dive centre, watersports, kayaks, sailing, windsurfing, tennis and volleyball. 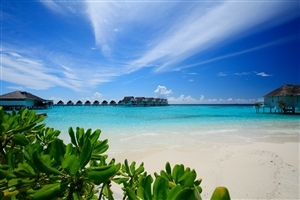 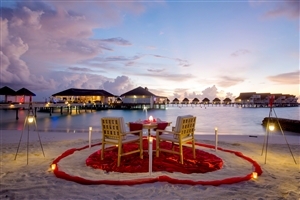 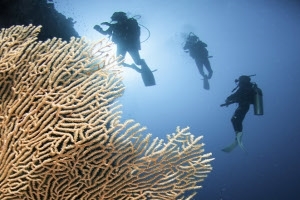 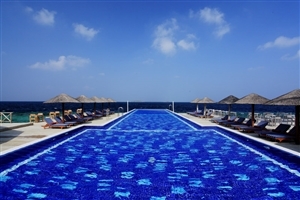 The resort is also within easy reach of some of the top coral and dive spots in the Maldives. 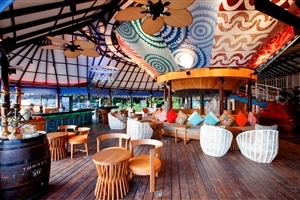 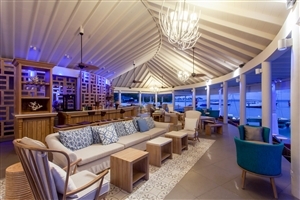 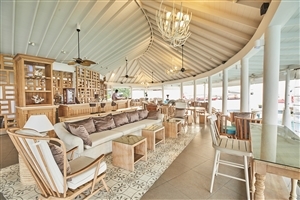 A wide range of excellent restaurants are complemented by two bars, one of which is over-water and the ideal place to relax and unwind with a cocktail. 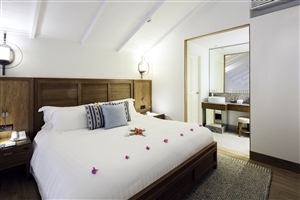 The Beach Suite at Centara Grand Island Resort & Spa offers 87sqm of accommodation comprising of a mezzanine containing a king-size bedroom or a twin bedroom. 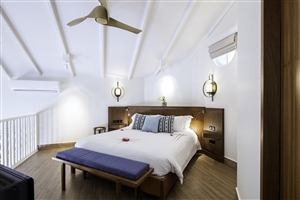 The Beach Suite can accommodate 3 adults or 2 adults with 2 children and features a furnished living room and a refined rain shower. 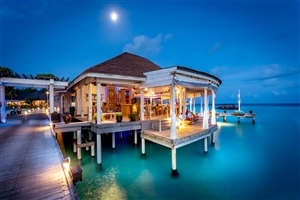 The Deluxe Water Villa at Centara Grand Island Resort & Spa offers 87sqm of accommodation space and is positioned above the sparkling Maldives lagoon. 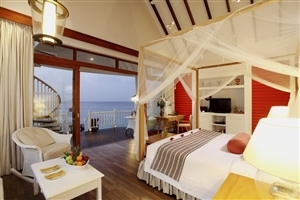 The Deluxe Water Villa features a king-size bedroom or a twin bedroom with a furnished living room and a lavish bathroom with a Jacuzzi spa. 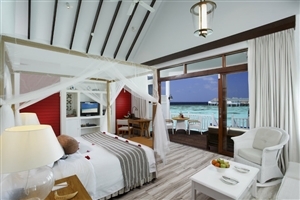 The Deluxe Family Water Villa at Centara Grand Island Resort & Spa offers 93sqm of accommodation space and comprises of a king-size bedroom, bunk beds in a portioned children’s area. 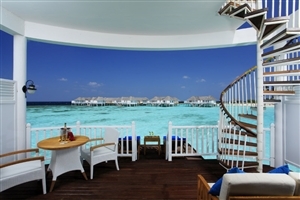 Featuring a furnished living area, the Deluxe Family Water Villa also offers a Jacuzzi Spa and a rejuvenating rain shower. 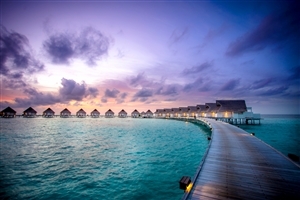 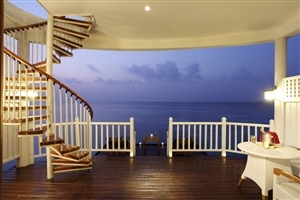 The Luxury Sunset Water Villa at Centara Grand Island Resort & Spa offers 110sqm of accommodation space, including a two-storey sundeck connected by an outdoor spiral staircase. 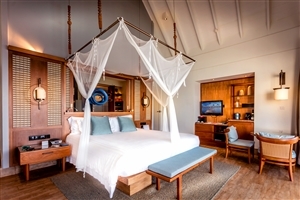 The master king-size bedroom is complemented by a furnished living room and a refined bathroom. 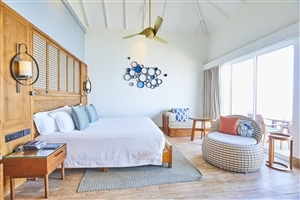 The Luxury Beachfront Pool Villa One Bedroom at Centara Grand Island Resort & Spa features a furnished living room, a 22sqm private pool, a lavish bathroom and a sumptuous rain shower for a wonderfully relaxed ambience. 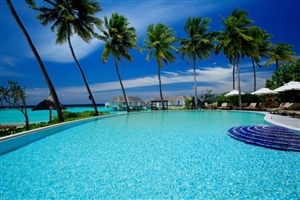 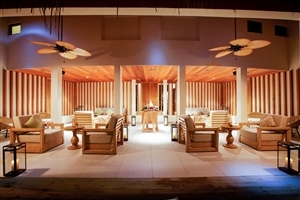 The Luxury Beachfront Pool Villa is available with one or two bedrooms. 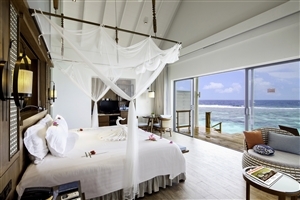 The Luxury Beachfront Pool Villa Two Bedrooms at Centara Grand Island Resort & Spa features a furnished living room, a 22sqm private pool, a lavish bathroom and a sumptuous rain shower for a wonderfully relaxed ambience. 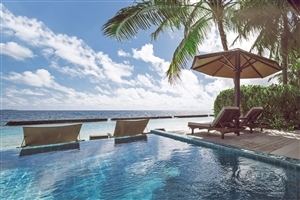 The Luxury Beachfront Pool Villa is available with one or two bedrooms.